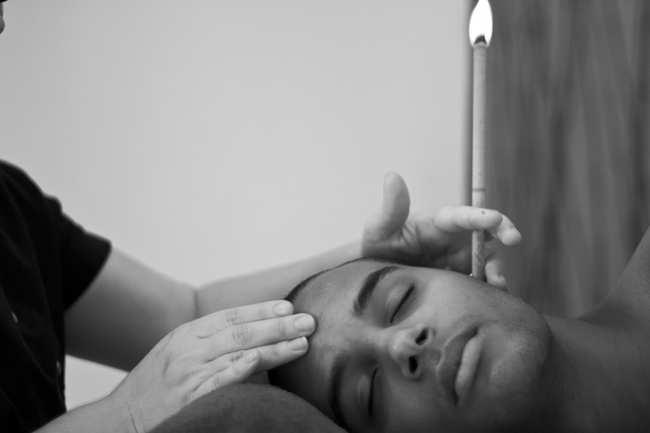 Hopi Ear Candles have been used as far afield as Asia, the Siberian prairies, but most notably native America. They were especially, as the name suggests, made use of by the Hopi Indians. They were used to achieve both therapeutic and spiritual effects, traditionally by the Shaman healers. The traditional Native American Ear Candles differ from those used in modern Western Hopi Ear Candle Treatments. This is because the actual ‘candles’ used in modern therapeutic treatments are cylindrical rather than cone shaped. This is purely a safety feature as it ensures that no sharp points can be inserted into client’s ears! The modern candles still use natural products (sage, beeswax and linen). Many clients have come for this treatment mainly for the relief of sinus conditions, migraines and compact ear wax etc. and found the treatment so relaxing and balancing they have come for more treatments.